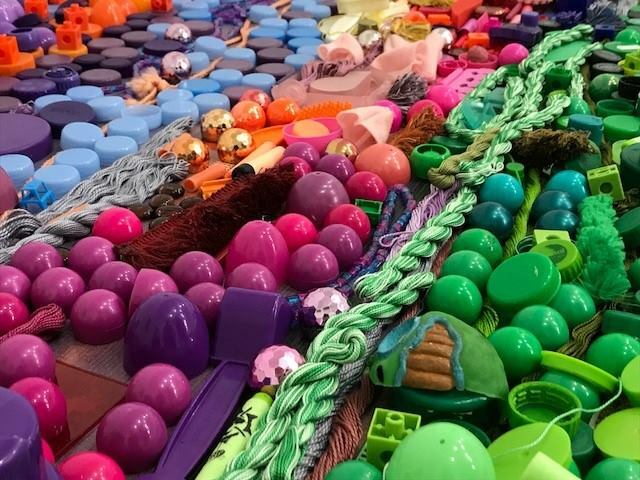 Beverly Ash Gilbert’s artistic medium is color, but the actual materials that she grabs could be fiber, beads, paints, flowers, or photography. 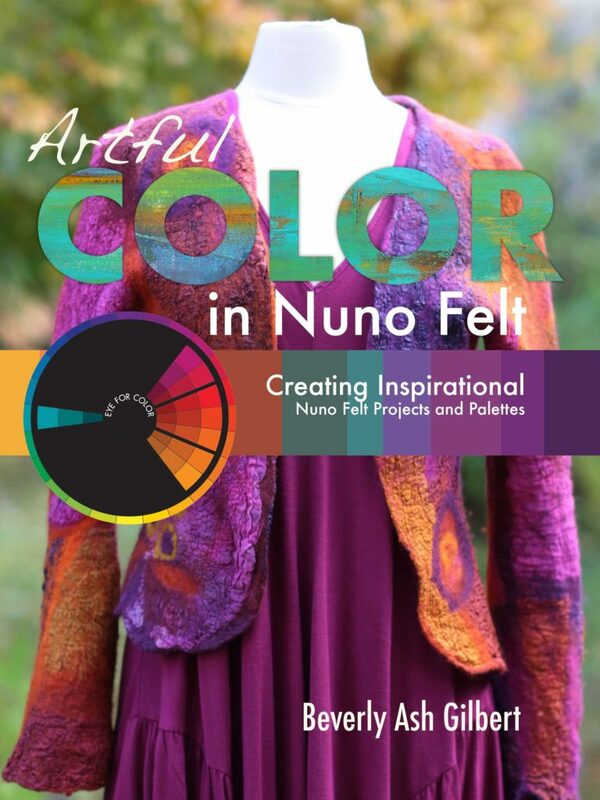 She has written five books, her most recent about the art of nuno felt. Beverly tells us how she developed her first books and how she got them published. 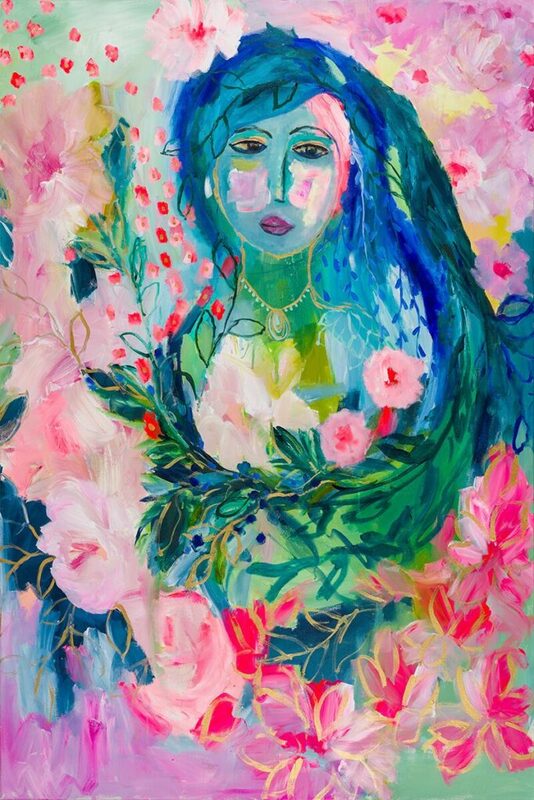 She also hosts art retreats in painting and fiber arts at her home in Whidbey Island, Washington, and teaches workshops in other parts of the world. Listen here or download from iTunes, Spotify, Google Play, CastBox, or Stitcher. Beverly Ash Gilbert with one of her beautiful nuno felt shawls. 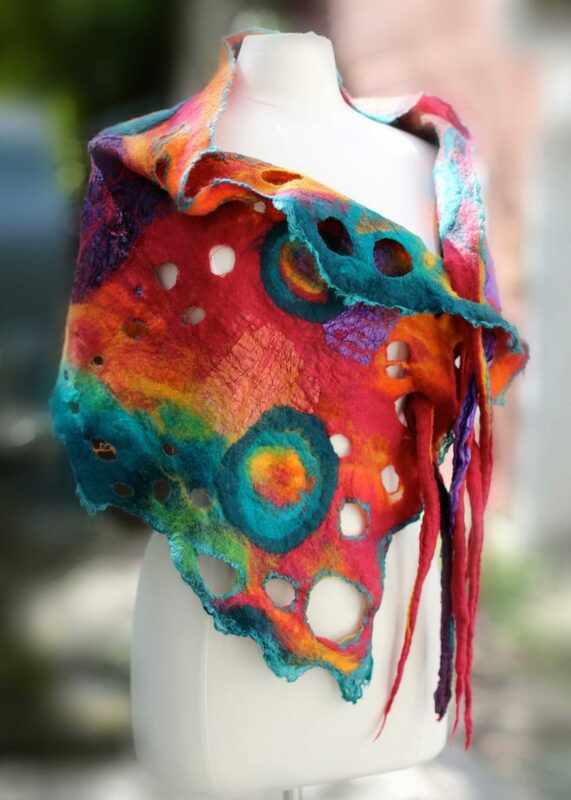 Shawl made in the style of nuno felt. Wander with Color, made by Beverly Ash Gilbert in her beadweaving technique. This technique can be found in her book Beaded Colorways. 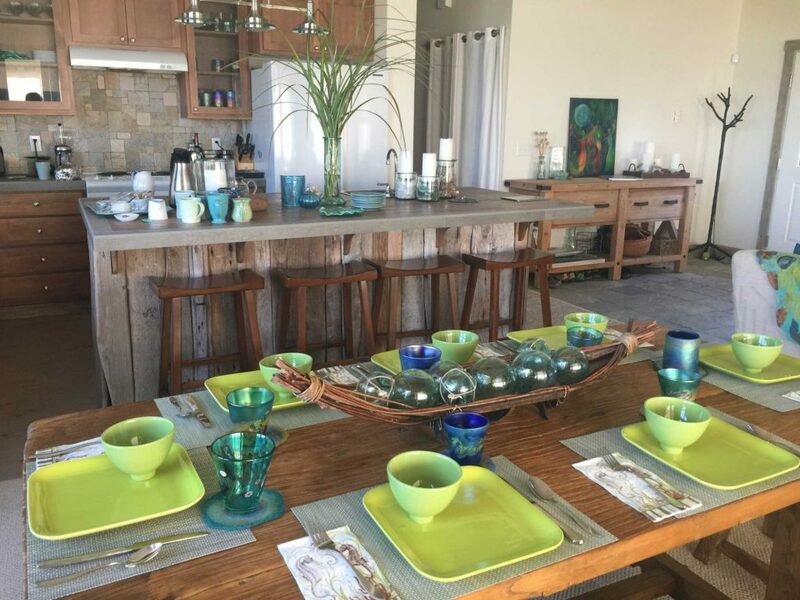 Beverly's beautiful home in Whidbey Island, Washington, where she hosts art retreats in painting and nuno felt. 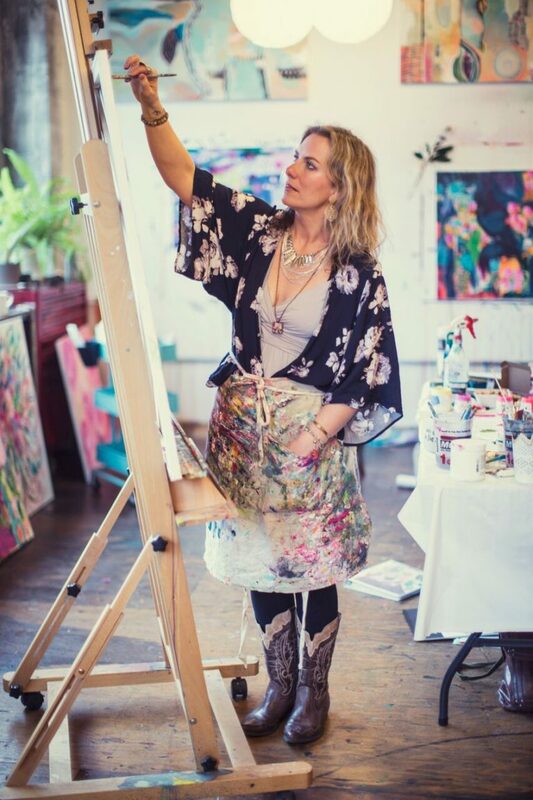 Signups for Beverly’s art retreats will begin on her website on September 5, 2018. 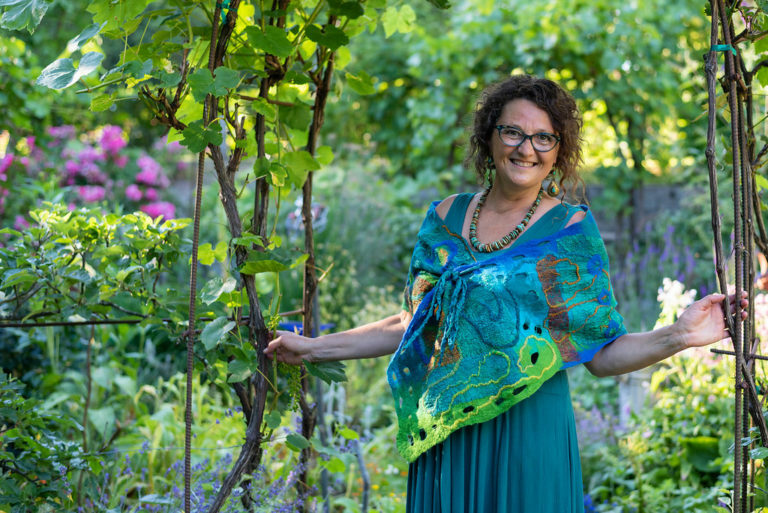 You can learn about her retreats on Whidbey Island here. You can find her books here. 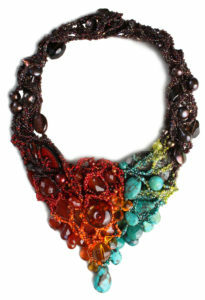 Here is one of her instructional PDF’s for a jewelry class. This is a great example of how to write class instructions. 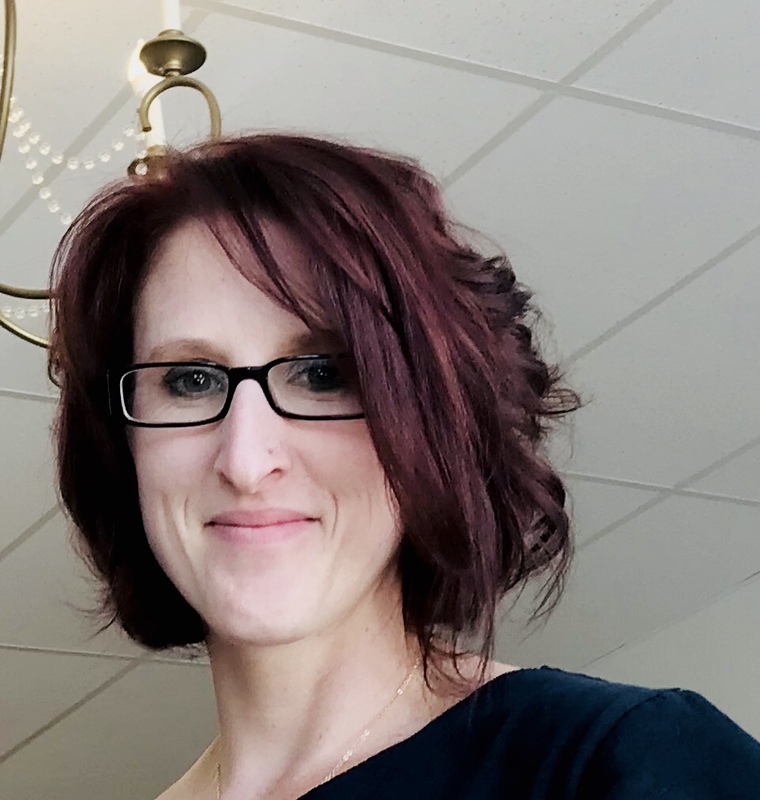 She took Kelly Rae Roberts’ class on business, and you can learn about it here. Here are some great takeaways from this episode. Partner with others and use their expertise when considering writing a book or when branding your business. Take classes to learn more about the art business. Beverly took a business class from artist Kelly Rae Roberts, and she recommends Tonia Jenny’s course on how to write a book. Think of your blog and classes as content for a book. If you’d like some examples of how to write instructions for your first classes, look at the PDF’s of her classes that are available on her website. When teaching far away, teach at multiple venues so they can split the cost of your travel. When students are traveling far to take classes from you, teach a few days of classes and offer a supply package for them that they can just buy from you. Consider e-books as a publishing option for an art book. When considering teaching an online class, be sure that your art is very good and unique, and that you have taught in person for a while. 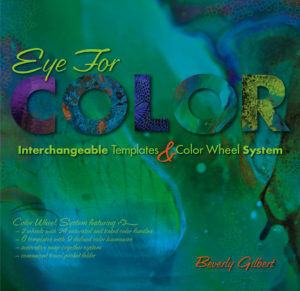 I hope Beverly has gotten you thinking about how you can expand your offerings as an artist. Teaching classes at local venues are a great way to add another form of income to your business, and perhaps later you’ll consider writing your own book. 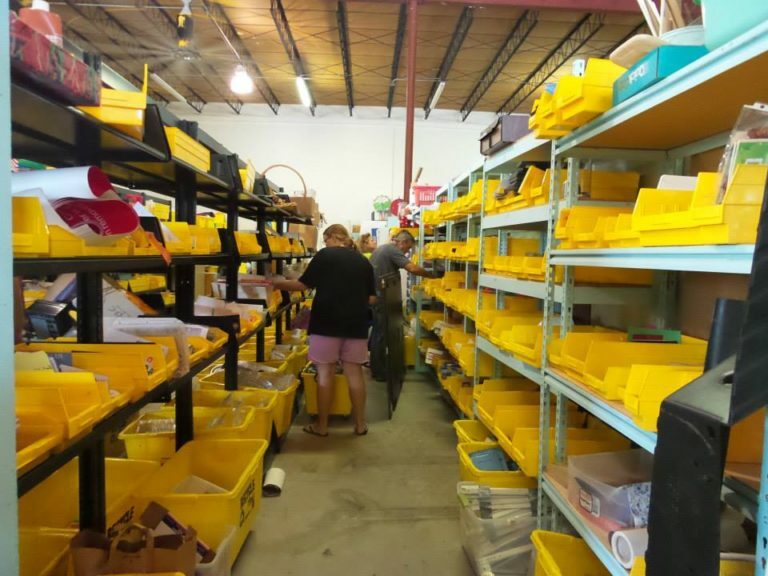 In episode #23, I spoke with Jennifer O’Brien, the Executive Director of Resource Depot, which is a reuse center in West Palm Beach, Florida. She had a lot of great ideas on how artists can help the environment, and I’m going to talk about a few more here. I’ll give artists suggestions on how they can try to reuse things, leave as little waste, and decrease the toxicity to the environment. 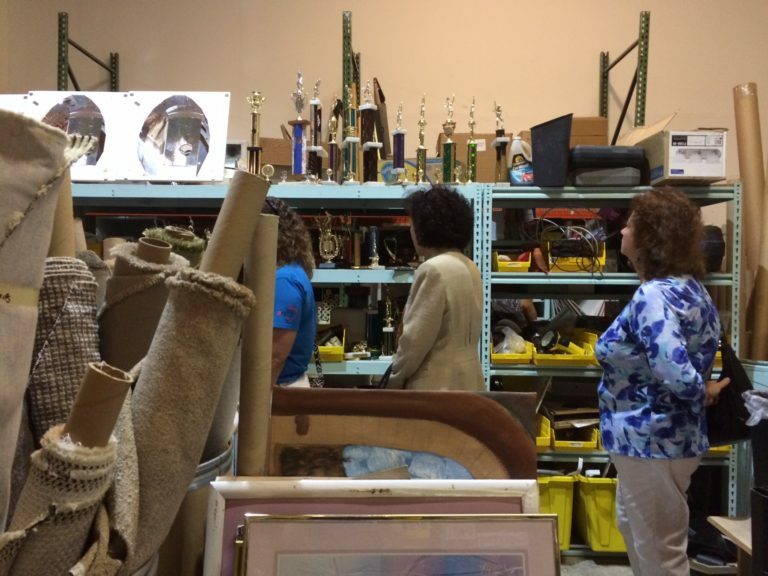 See if your area has a reuse center. You never know what you may find that you can use for your artwork or studio. 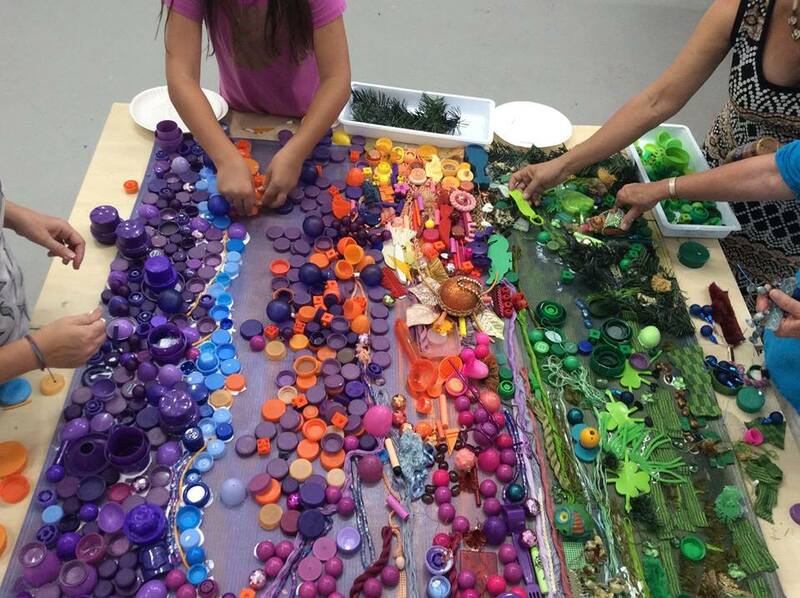 Here's an example of making art using unusual materials. I made these three strands using metal pieces from my Dad's work bench. Here's a closeup. 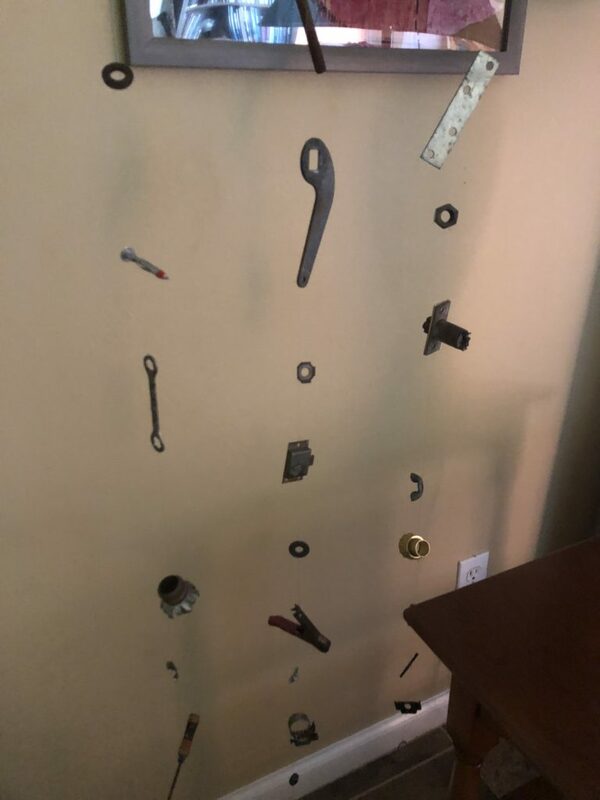 You can see plumbing parts, tools, nails, washers, and a part from a door lock. 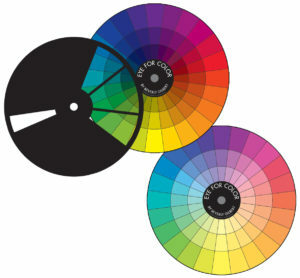 To find out if your area has a reuse center, check out the website for Lancaster Creative Reuse. They have a Directory of Creative Reuse Centers in the United States and around the world. You can find out more about reuse programs at the Reuse Conex website. Jennifer O’Brien is the Executive Director of an organization called Resource Depot in West Palm Beach, Florida. Resource Depot is a reuse center, which is a warehouse that accepts products and materials from individuals and businesses, with the goal of keeping these items out of the waste stream. 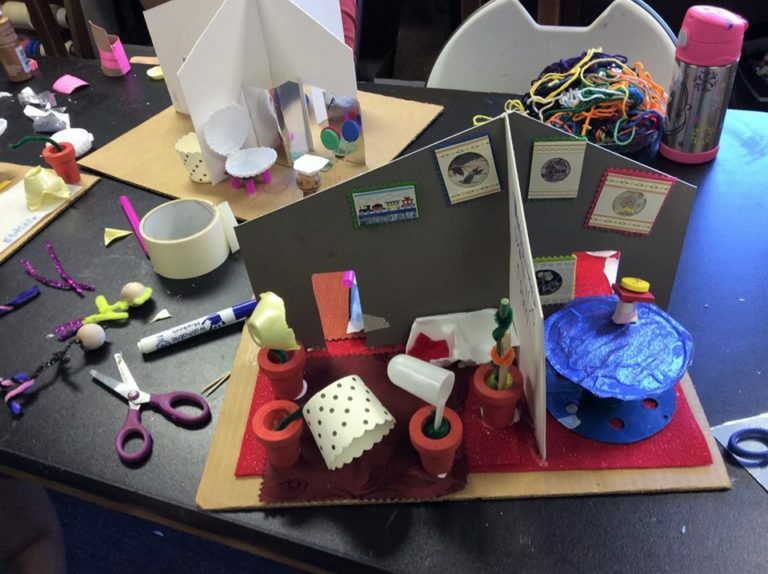 Artists are huge users of these types of centers, and can find lots of interesting materials to use in their art. 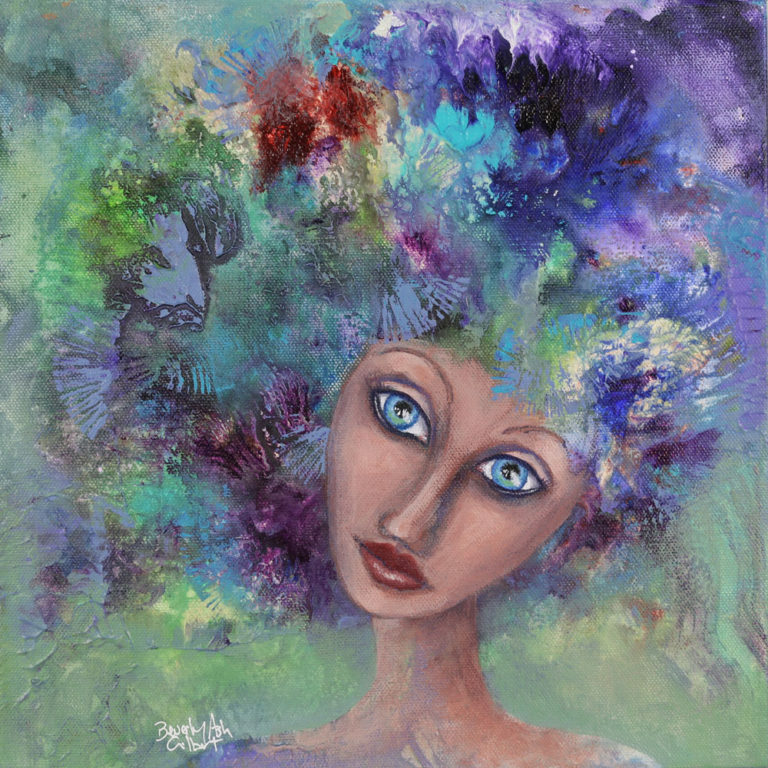 Jennifer is an artist with a background in education, business, and a passion for the environment. She explains how reuse centers work and where you can find one near you. Jennifer and her staff modeling the skirts they made out of plastic bags. You never know what you might find at your local reuse center that you can use for art or your studio. Adults and students working on a "Broken Bits" mural. Students have made Reuse Buildings at Junk Camp this summer. You never know what might come in to Resource Depot. Check back often to see what trash you may be able to use to make a treasure. Resource Depot staff and volunteers will get creative with what is donated to give artists ideas of how they may use them. Jennifer is an artist in her own right. 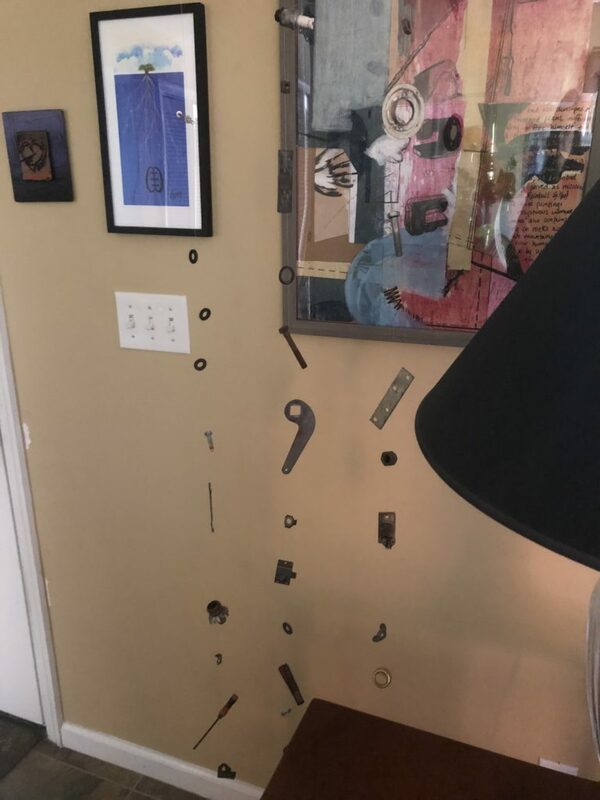 Not only does she use recycled items for her artwork, but she also uses her creative ideas to help artists figure out how they can use things that are available at Resource Depot. More artwork by Jennifer O'Brien using recycled paper and scraps. On the website for Lancaster Creative Reuse, you can find a Directory of Creative Reuse Centers in the United States and around the world. Jennifer is working on a business where style meets sustainability, called Live the Give. Their website will be available soon. Use the websites that I’ve listed in the show notes above to find out if there is a reuse center near you. 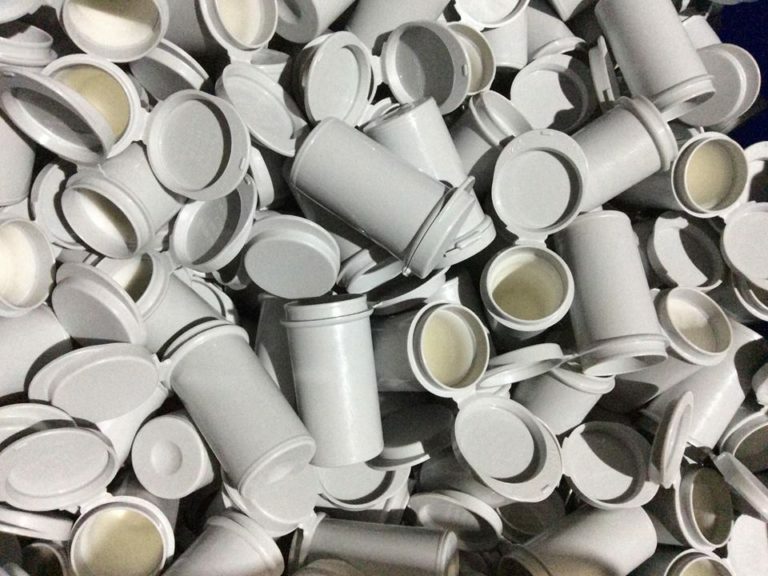 Materials are coming in and out of reuse centers all the time. So if you can’t find something you like one day, be sure and try again another day. Most centers accept items from individuals as well as businesses. Most centers charge for taking items out, and often that charge is based on weight or volume. Some even have discounted prices for artists and teachers. As an artist and an individual, think about what you can perhaps donate: artist supplies you no longer use; supplies that you’ve over bought; materials from art events or installations that you no longer need; used books that probably wouldn’t be accepted at libraries or book stores; fabric and carpet scraps. Call or visit your reuse center first to find out what they will and will not accept. Thrift stores may be a better donation spot in some cases. 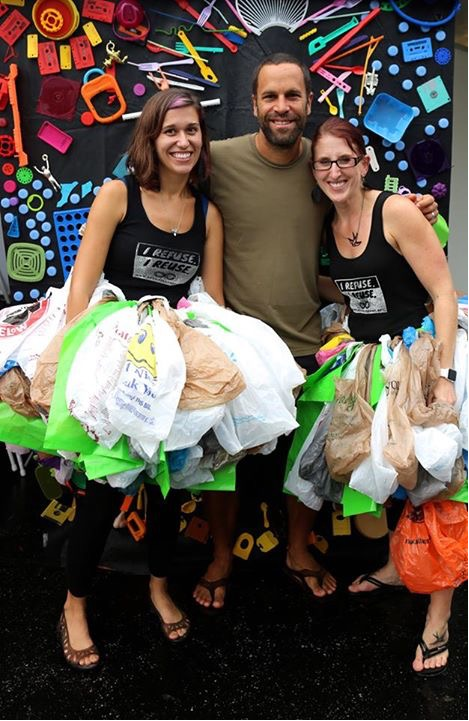 Consider making your own reusable bags for purchases, and use them for more than just grocery stores. Find out what items your city or county accepts in their recycling program; all areas have their own rules, so some may have a program to recycle batteries or light bulbs, and some may not. 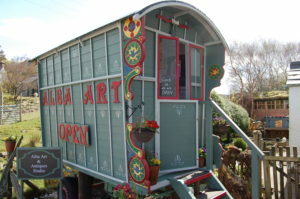 Some reuse centers have galleries where artists can display artwork made from their reused items. 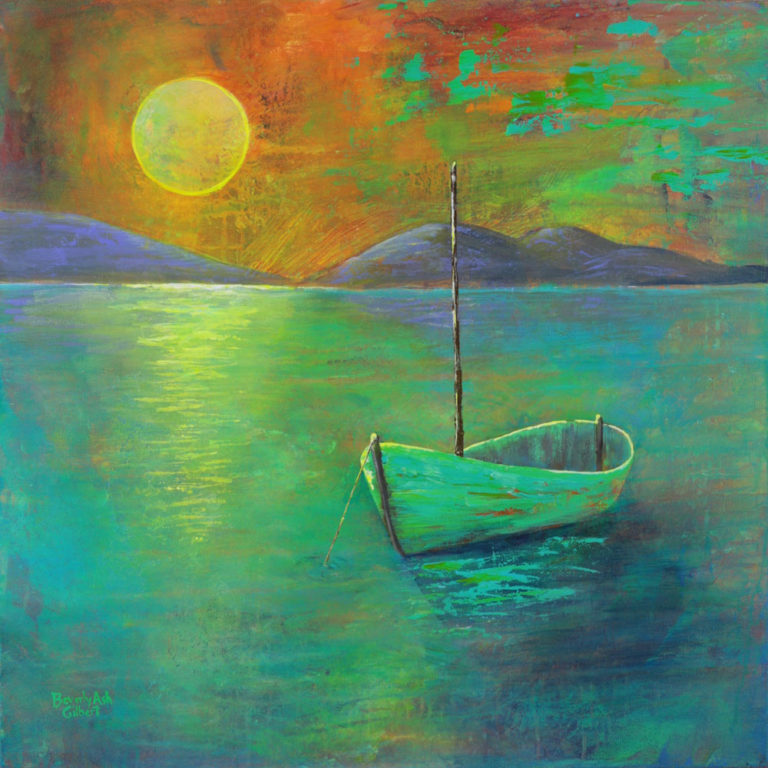 Resource Depot even has opening and closing receptions for their artist shows. 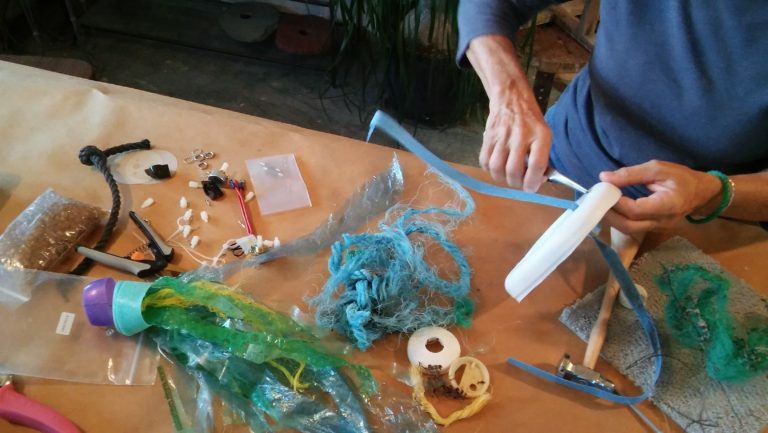 I hope Jennifer has inspired you to think about how you can approach aspects of your art that are much more environmentally friendly, and to look and see if you have a reuse center near you. Remember that at reuse centers you can take things and donate things. You may find the perfect materials for your next art project, or you may want to donate supplies that you’ve overbought or don’t use anymore. 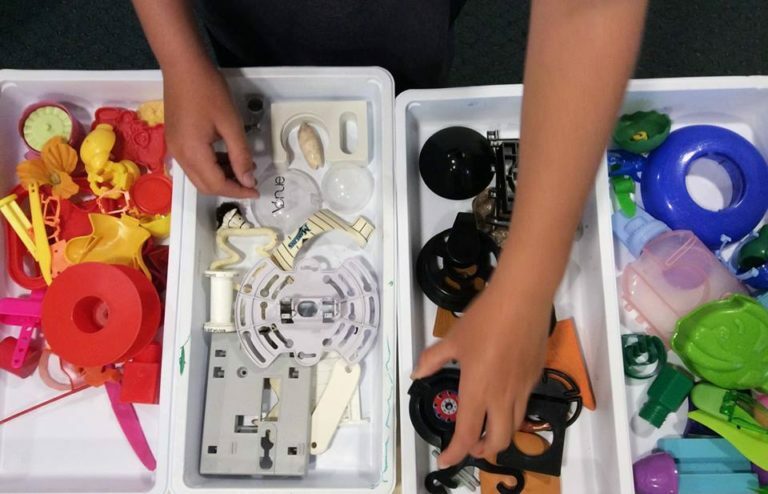 We all know that one person’s trash can truly be another person’s treasure – as long as there is a place where people can go to give and get the useful stuff. Be sure and check out my business episode which will be posted this Friday. I will be expanding on some ideas of how artists can be more environmentally friendly. 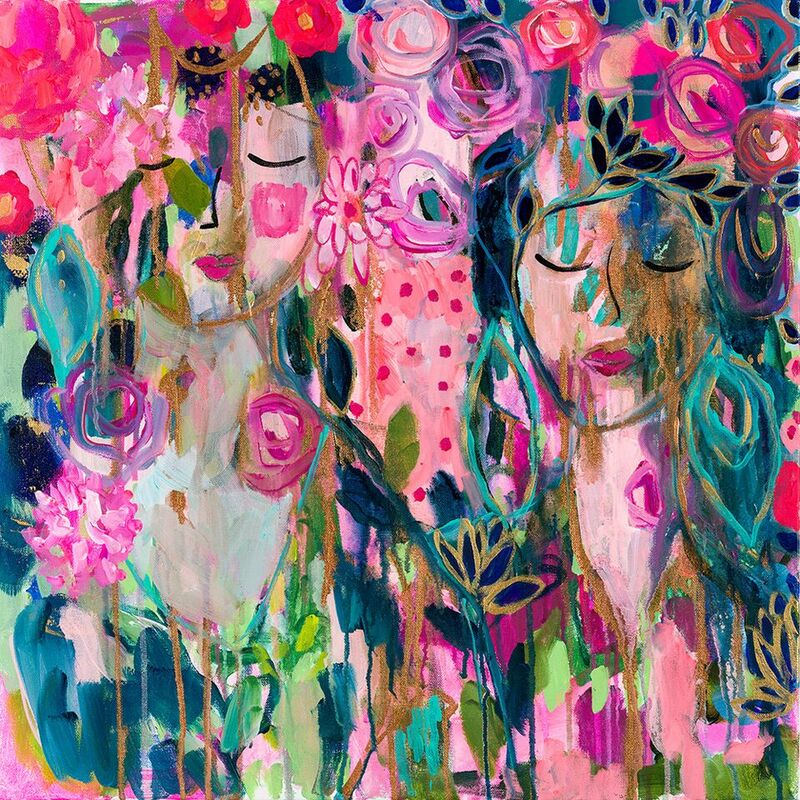 In my interview with Seattle artist Carrie Schmitt, she told me about her trouble finding an affordable art studio where she could work. The cost of retail space in Seattle was just too high. 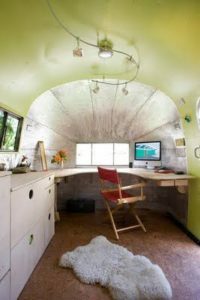 Instead, she came up with the idea of buying an old school bus and renovating it for her studio. 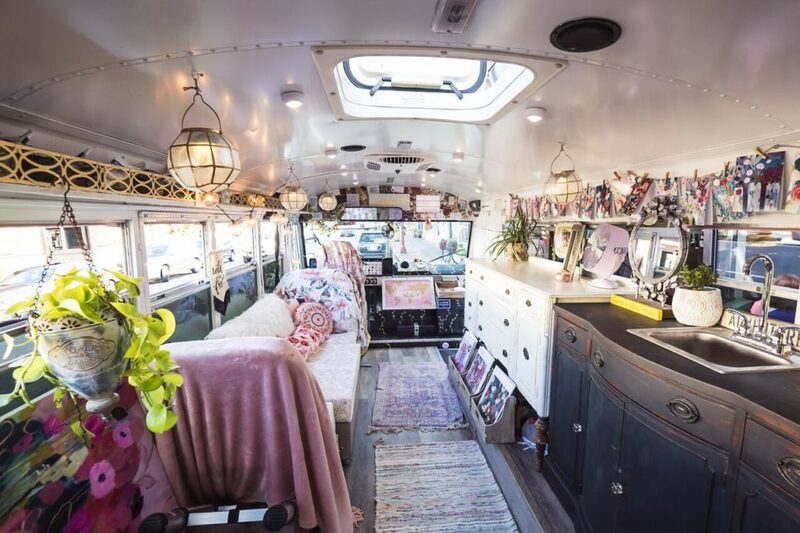 She now has a beautiful space that she calls Rosie the Art Bus. 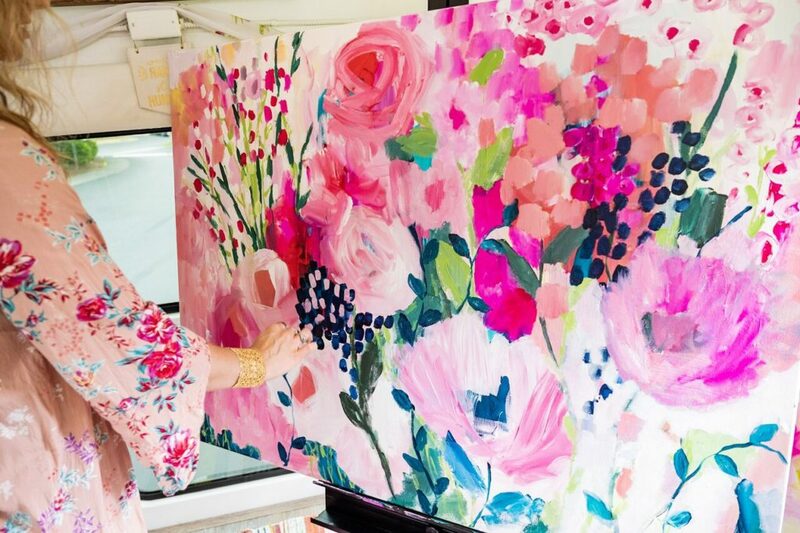 Not only can she take it anywhere she wants to work on her art, but she can also bring it to gallery openings or festivals, and she can sell her products right from the bus. 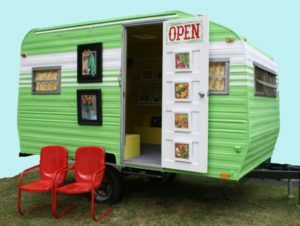 In this episode I talk about other alternative art studio ideas, including live/work spaces, residencies, co-working spaces, and campers, tiny houses and sheds. In West Palm Beach Florida, they offer live/work studios at Lot 23. The Armory Art Center in West Palm Beach offers year-long Artists in Residency programs. Resartis is a worldwide network of artist residencies. You may find one that interests you there. Here’s another list of residencies at the Alliance of Artist Communities. Here’s an article about the 23 best co-working spaces. And I’ll let you google art studio campers, sheds, and tiny houses. You’ll find lots of photos that will give you some great ideas. Pinterest in particular is a great source of inspiration. And finally, check out stusu.com, the airbnb of renting studio space. 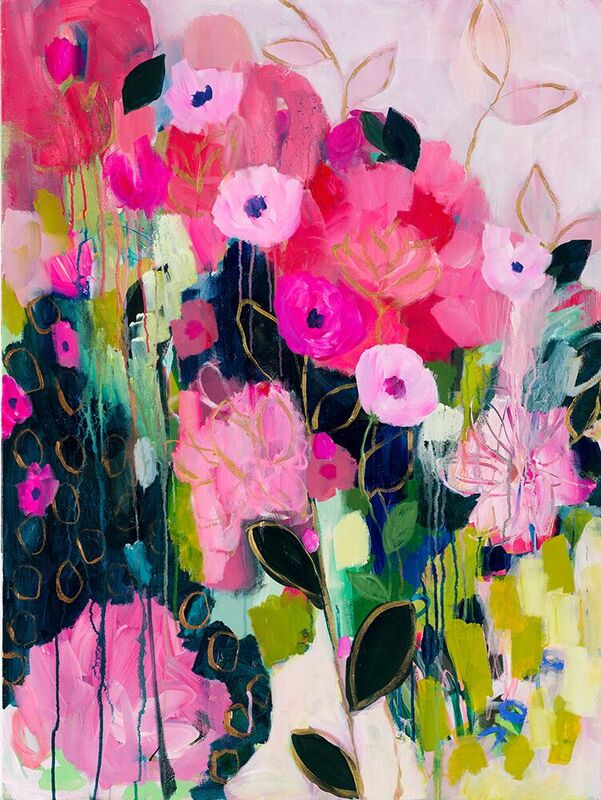 Carrie Schmitt’s artwork is beautiful colorful painted flowers. 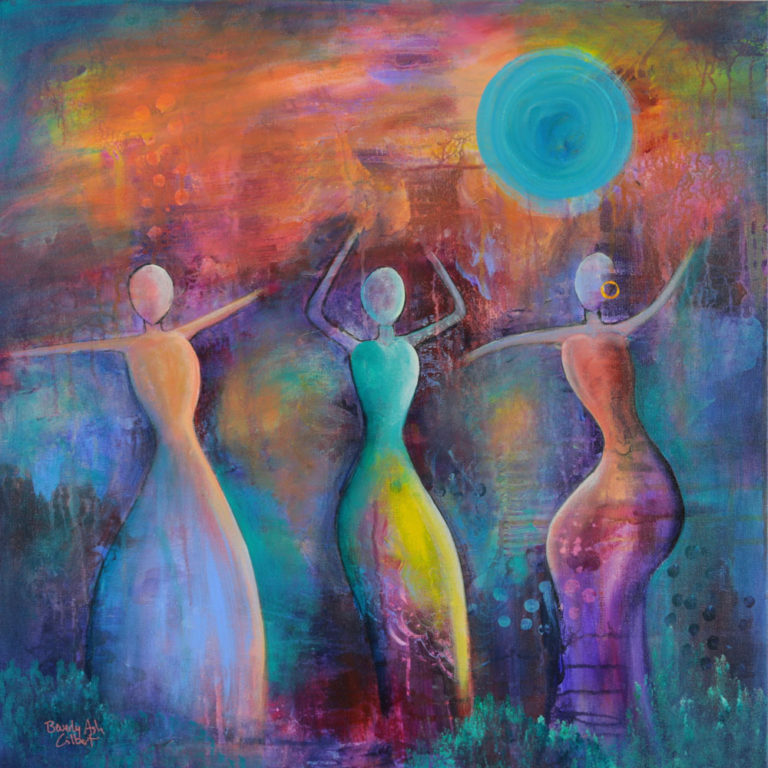 She is also a retreat facilitator, and teaches classes near Seattle, Washington, and next year in France. 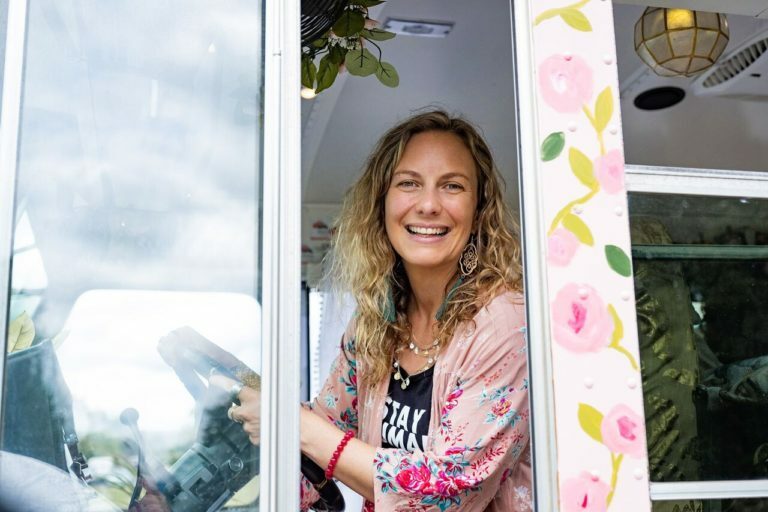 We talk about her one-year project, called The Single Rose Project, where she handed out a rose to one person every day for a year, and we also talk about her newest adventure, Rosie’s Art Bus, which is her mobile art studio. 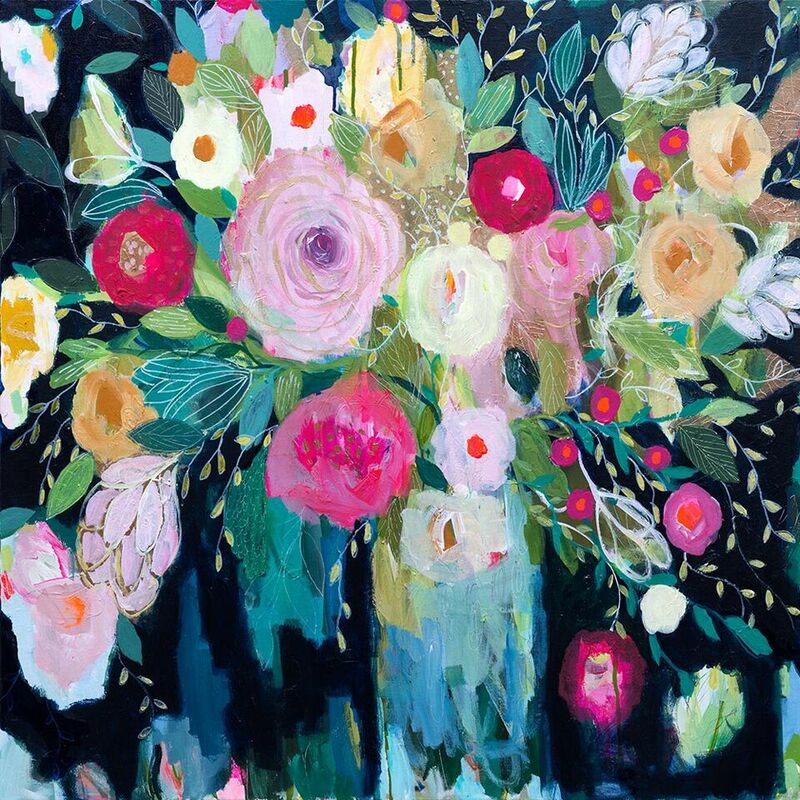 You’ll be amazed to learn that she’s only been painting for ten years, after drastically changing her life and her home base following a debilitating illness. She really has an inspiring story. Listen here or download from iTunes, CastBox, or Stitcher. Carrie with the ladies at her art retreat. Here is more information about Carrie’s A Single Rose Project. 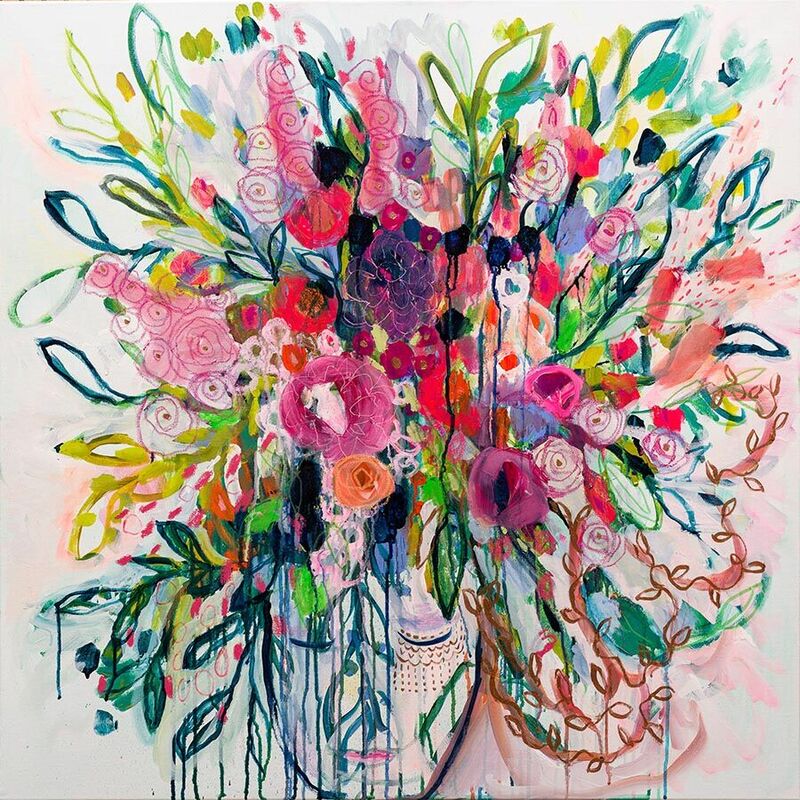 Here is a link to Carrie’s online shop where you can buy her artwork and products. Here is where you can purchase Carrie’s Rose Cards, so that you can pass do your own rose project. While the online business class that she took from artist KellyRae Roberts is no longer offered, here are some of KellyRae’s other courses. 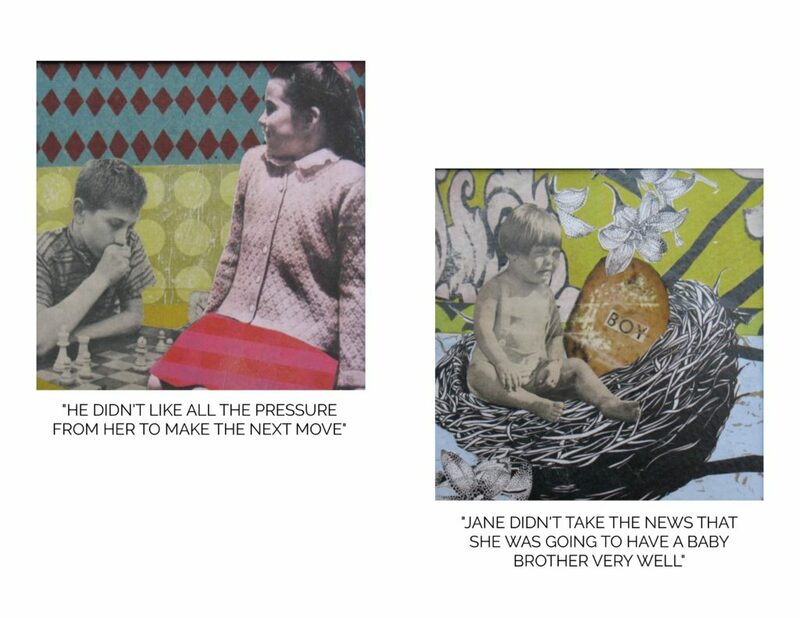 Some of Carrie’s art can be found at Art East Gallery in Issaquah, Washington. Here is the calendar for Carrie’s upcoming retreats. If you want to create a 365-day project like Carrie did, be sure that you work it into your daily routine. And make sure you give it a powerful end, like Carrie did when she gave her last roses out at a women’s shelter in Seattle. 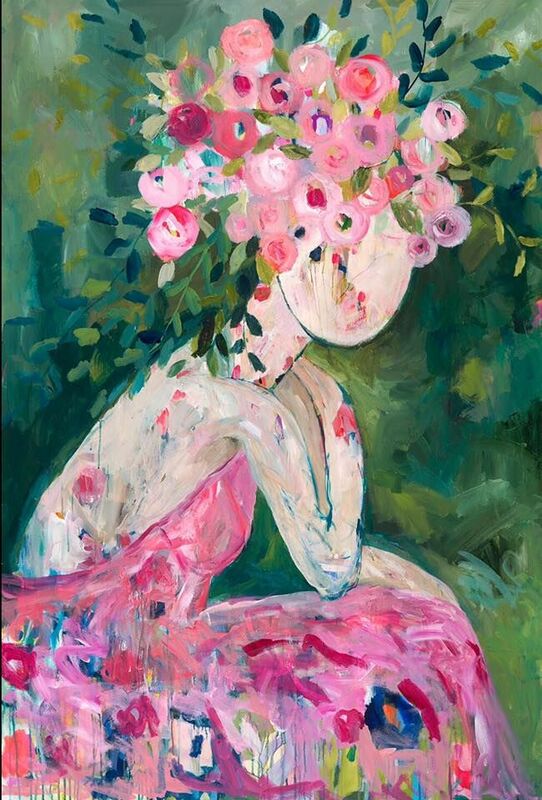 At the end of her day, she asks herself, “Did I do the best I can do today?” I think that’s a great way to reflect and prepare for your next day to continue on your art-filled path. As Carrie says, we need some down time to create a quiet space for ourselves. In this crazy time where we are attached to our phones, we need to relearn what it is like to sit quietly by ourselves and occupy our minds with thoughts that fill our souls. Instagram and Pinterest are great places to show photos of your art. 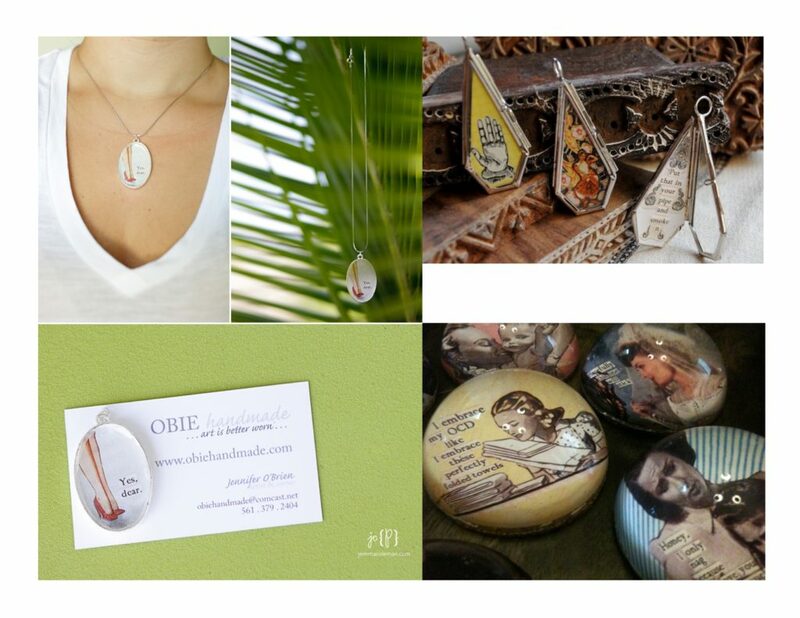 Carrie was recognized in Pinterest and able to obtain licensing deals through that notice. 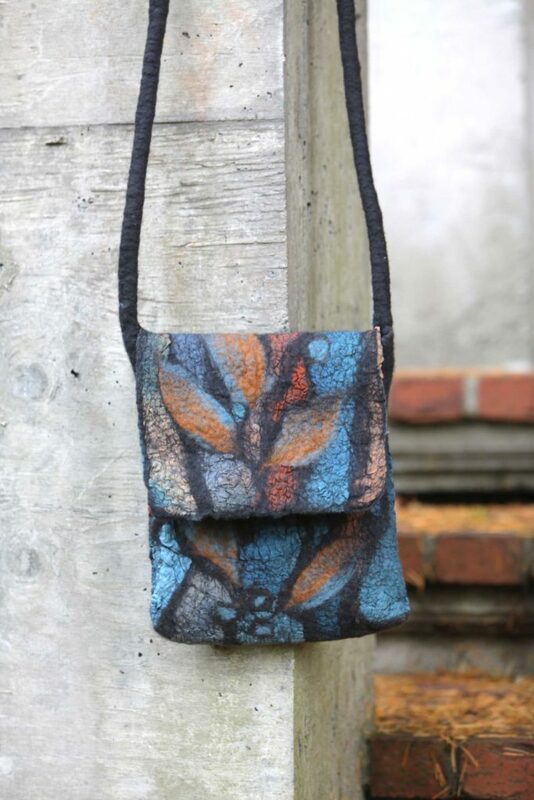 Consider getting your artwork printed on products, like hats and water bottles. Carrie sells these things in shops and from her bus. 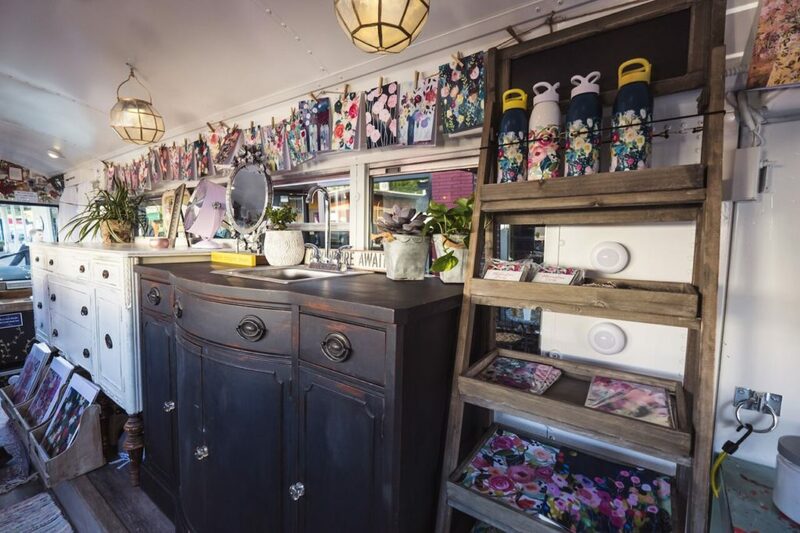 If you can’t find or afford studio space near your home, consider an alternative space like Carrie has for her bus. 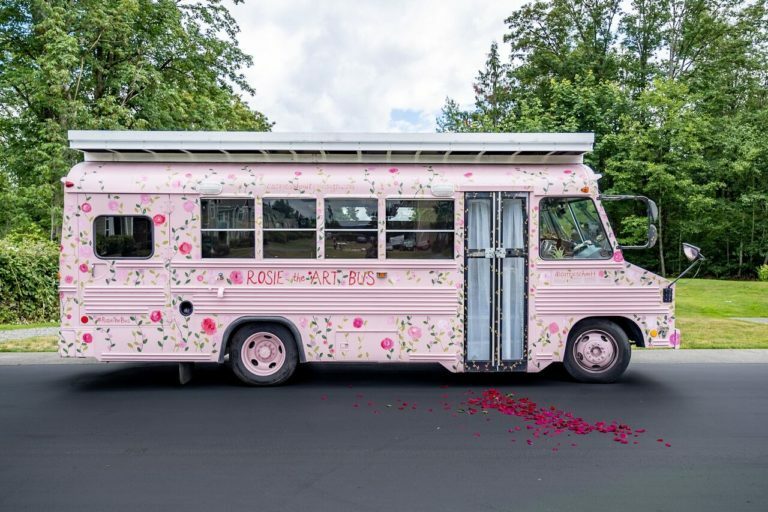 Rosie the Art Bus came about because she was unable to find affordable space, and the cost of the bus was less than one month’s rent of a retail space. Now she can paint by the beach, at a park, where ever she wants to take the bus. Think about alternatives to offering traditional art classes. 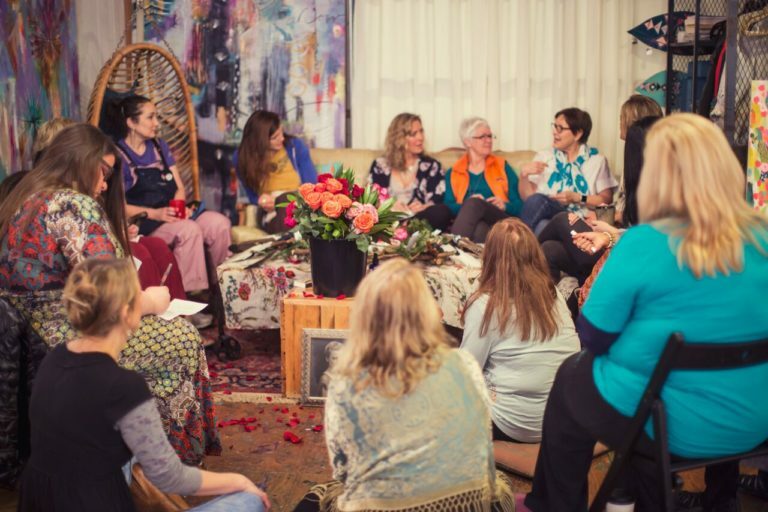 Carrie is offering a week on an island in Washington for women to work on projects in a quiet beautiful space, but there is no teaching involved. I hope Carrie has inspired you to challenge yourself with a new project and be brave enough to try something new, no matter how scary or unusual the idea might be.